The monument is intended to serve two purposes– to provide a civic presence and public recognition of veterans, and simultaneously a space for private contemplation and remembrance for visitors to the site. 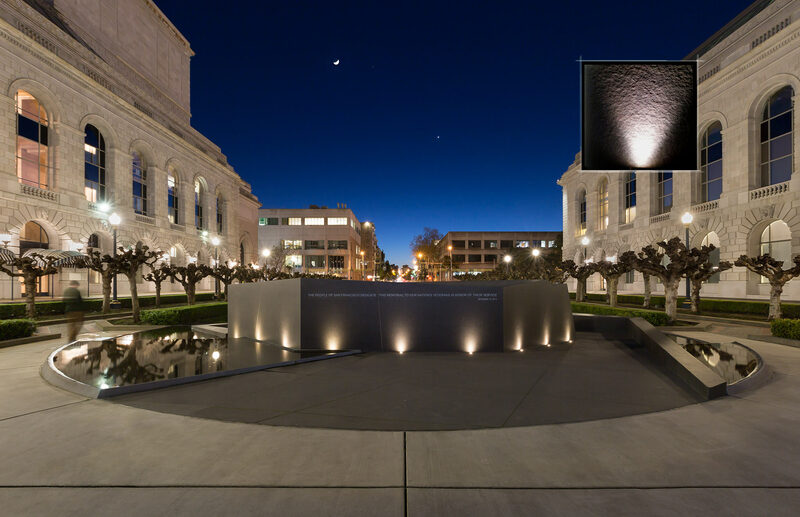 The rough texture of the flamed basalt used on the outer sections of the monument is illuminated by a measured pattern of ingrade accent lights, providing visibility of the monument from a distance. Inset, from a mockup with the flamed basalt material.